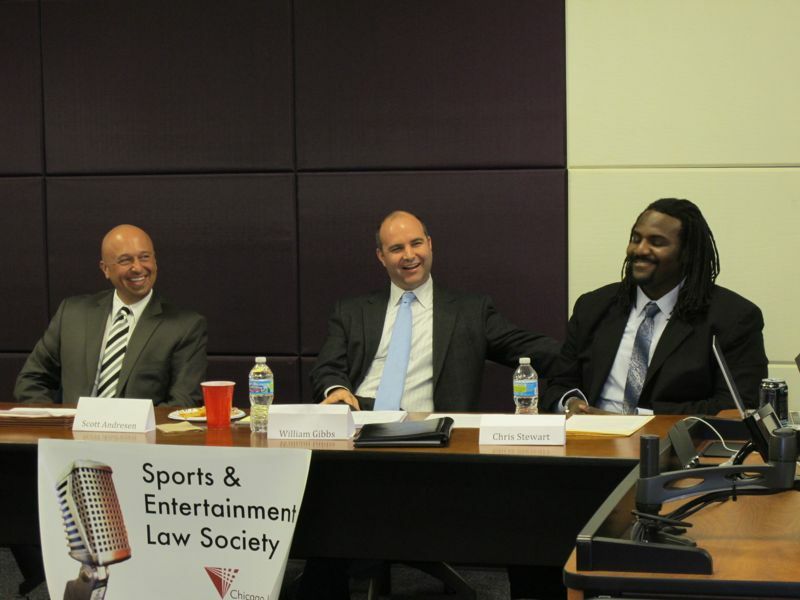 Corboy & Demetrio attorney William T. Gibbs spoke at the Chicago-Kent Sports Law Symposium on Dec. 5, 2012, in a panel discussion about NFL concussion litigation issues. 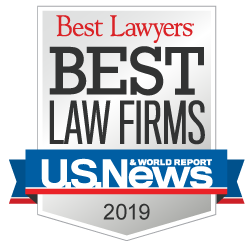 Gibbs and Corboy & Demetrio partner Thomas A. Demetrio are representing three former NFL players as well as the estate of late Chicago Bears player Dave Duerson in lawsuits against the NFL stemming from brain injuries due to concussions. The lawsuits allege that the NFL knew about the danger of concussions and took part in a conspiracy to conceal that information from the players and their families. Bill Gibbs is a 2004 graduate of Chicago-Kent College of Law, and as an undergraduate at the University of Notre Dame, he played defensive back on the ND football team when Lou Holtz was the coach. In the photo, Bill Gibbs is joined by Scott Andreson on the left and Chris Stewart on the right. After the panel discussion, Bill Gibbs was interviewed by WCIO-TV.